When top security official Meng Jianzhu revealed in a work conference in January that the Communist Party’s re-education through labor system would be reformed, hopes ran high. 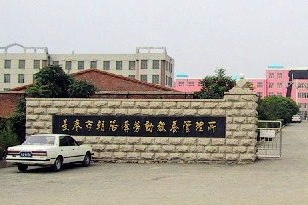 Now, nearly six month on, while it appears that the reforms will result in some groups of offenders being shipped off to prisons and others to a re-vamped form of mandatory drug rehabilitation, the fate of groups that the CCP targets for political suppression, including petitioners, dissidents, and Falun Gong practitioners, remains unclear. During a national work conference held on Jan. 7 of this year, Meng Jianzhu, the head of the Political and Legislative Affairs Committee (PLAC), made the announcement that the move to curtail use of the labor camp system was to be part of Xi Jinping’s overall reform campaign, including anti-corruption and rule-of-law propaganda and policies. Skeptics feared that though the Xi regime would eliminate the re-education through labor system, they would retain extra-judicial detention—which allows police to send perceived troublemakers to years of forced labor without so much as a court appearance—in some other form. The incarceration of drug abusers through mandatory rehabilitation programs, for example, could easily be adapted for other prisoners. Meng Jianzhu also said that petitioners should be dealt with using other methods, not RTL—though his remarks were soon deleted, however, indicating disagreement among Party leaders. But in these, and other announcements about the elimination of RTL, there is no mention of how, except for “in accordance with relevant law,” petitioners with valid claims, dissidents, Falun Gong practitioners, house Christians, and other unspecified detainees will be processed. One possibility is that they are simply sent to prison through the court system, rather than forced labor camps. In such cases judicial authorities typically first detain the individuals for an extended period, conduct a show trial, delay sentencing for months afterwards, and then hand down a long prison sentence. Seven underground church leaders who were arrested in April 2012 were tried in April 2013 and given prison terms of from three to seven-and-a-half years, according to ChinaAid, which reports on the persecution of Christians. Two Tibetan monks were sentenced to three years in prison in June for praying for a Tibetan man who died of self-immolation, according to the Tibetan Centre for Human Rights and Democracy. Recently Qiu Liying, a female Falun Gong practitioner, was sentenced to 30 months in prison this month for “possessing State secrets” – an unclassified government document – after being held since last summer. Falun Gong practitioners Liu Qingxiu, Hu Xinyuan, and Gong Dexiu were given sentences from 3 to 10 years in February, after being kept in detention since 2011, reported Minghui, a Falun Gong website. Prior to the new policies, in all likelihood these cases would have been handled as administrative detention cases and those arrested would have been sent to an RTL facility for not longer than three years. It is as yet unclear whether and how the new mandatory drub rehabilitation system will make use of the vast forced labor system constructed under the leadership of Jiang Zemin, when he made vast capital expenditures on such facilities so as to facilitate the persecution of Falun Gong practitioners. A brief statement by Wang Gongyi, former director of a research institute under the Ministry of Justice, indicated that detention and production facilities will be separated somehow, but his remark left the details unclear. Cheng Xiaonong, a former advisor to ousted reformist Chinese leader Zhao Ziyang, says that reform of this labor camp system, which is both profitable and politically expedient, is more elusive than the Chinese Communist Party lets on. First hand accounts, and graphic descriptions, depict the use of the simple toothbrush as an instrument of torture in China. Large Western companies were found to have used headphones made in Chinese forced labor camps.